Have life-changing travel adventures. Dive DEEP into foreign cultures and enjoy authentic, rich connections with the people who live in the places you visit. Have you ever known somebody who goes on vacation and comes home with larger-than-life tales to tell – every single time? Have you ever wondered why some people have incredible adventures when they travel, while others have a good time but never seem to go beyond the generic tourist experience? Have you ever wished you could be one of the people who has all the incredible adventures – an intrepid explorer who plunges deep into local cultures, connects with fascinating people, transcends cultural differences, and comes home with wild stories? Huge, crazy, life-changing travel experiences don’t happen by accident. Yes, there’s an element of chance involved as to when they occur, but they happen far more frequently to people who travel with a certain mindset, a special attitude, a willingness to venture beyond the usual guidebook recommendations and dive deep into local life. To some people, that might sound scary, but if you follow the tips in this course, it won’t be. You’ll discover how to slowly, gently stretch the boundaries of your cultural comfort zones, tiptoeing lightly at first until you gain the confidence to plunge deeper into the enthralling world of culture shock. Travel with the mindset necessary to transcend mainstream tourism and dive deep into unfamiliar places. Explore the challenges (and thrills) of culture shock, and flow with those challenges so that traveling in a foreign environment doesn’t feel intimidating. Connect with people who live in the places you visit – in authentic ways that are far more sincere and intimate than any scripted tour company activity. Make yourself approachable as a traveler, so you meet new friends and gain invitations into people’s lives. Meet people safely, reading their attitude and body language, and developing a sense of when it’s okay to trust a stranger or a potential new friend. This course also includes an interview with Beth Whitman, author of Wanderlust and Lipstick: The Essential Guide for Women Traveling Solo, about travel safety concerns specific to women. Special Introductory Offer: Pay Just $10! you can join through the end of this month for just $10! Follow this link for the Globejotting.com discount! What topics does the class cover? Thrive in foreign environments and embrace the joy of culture shock. Gently stretch the limits of your culture shock boundaries, moving deeper and deeper into big adventures. Choose alternative forms of accommodations, transportation, dining, etc., that bring you more closely in touch with local experiences. Go beyond the limits of mainstream tourism to find unique travel experiences no guidebook could ever tell you about. Read people and situations when traveling to determine whether they are safe. Come home your trips with phenomenal stories to tell. More than three hours of fun and informative video lessons. Lots of fun, real-life stories and personal anecdotes. Lifetime access to our online forums where you can ask Dave questions at any time. Sign Up Now and Pay Just $10! This price will increase very soon! 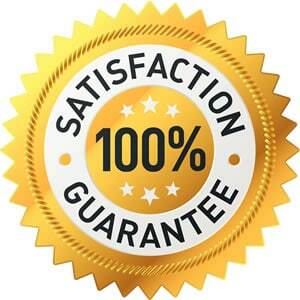 Satisfaction Guaranteed or You Get a Full Refund! Dave gets it: Just because this course is a phenomenal value for some people, that doesn’t mean it’s right for everyone. If you trust him with your cash, he wants you to feel thrilled with what you’ve paid for. That’s why he participates in Udemy’s 30-day, no-questions-asked, money-back guarantee program. If you sign up for this course and decide it’s not what you were looking for, just ask for a refund! You’ve got nothing to lose … and the prospect of an exciting new life to gain! Sign Up Now for Just $10! Got Questions? Drop Dave an e-mail at [email protected].